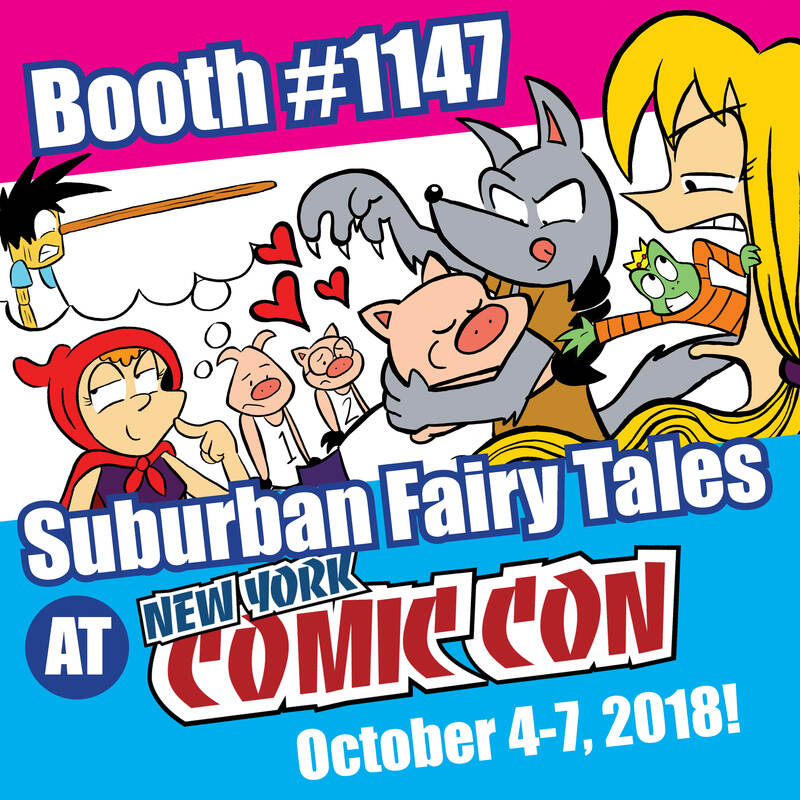 Suburban Fairy Tales will be at New York Comic Con October 4 – 7, 2018 at the Javits Center in New York City! There will be plenty of convention exclusives available at the show including a custom little piggy plush, original artwork, and poster prints. I’m also giving away a FREE Suburban Fairy Tales button to the first 25 people who purchase something at the table. 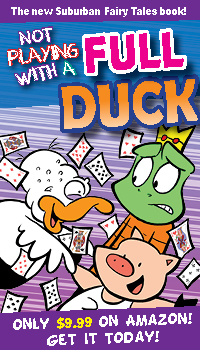 If you haven’t yet picked up a copy of the new Suburban Fairy Tales book, Not Playing with a Full Duck, there will be copies readily available at the table. There will also be a Special Edition of the book sold only at New York Comic Con! The Special Edition version will be available in limited quantities so get to the table early before they sell out! 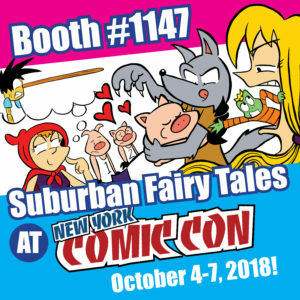 Suburban Fairy Tales will be on the main show floor at booth number 1147.